Navigation of the St. Lawrence River has historically been difficult due to many submerged rocks and shoals. 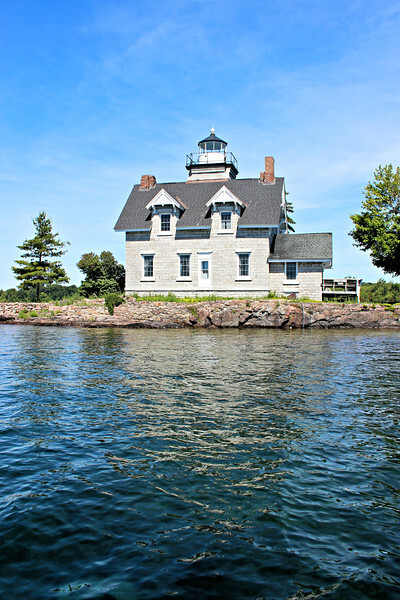 Located 12 miles northeast of Alexandria Bay, New York the Sister Islands Lighthouse was originally constructed to mark a narrow passage between the Sister Islands and Grenadier Island. The Sister Islands are a collection of three tiny islands in the St. Lawrence River. The Light House Board originally planned to build a lighthouse on the Sister Islands as early as 1859, however gaining title to the land proved problematic and the $4,000 appropriated for the project reverted to the Treasury. Finally, in 1869 the government purchased the islands for $142.33 and plans moved forward.